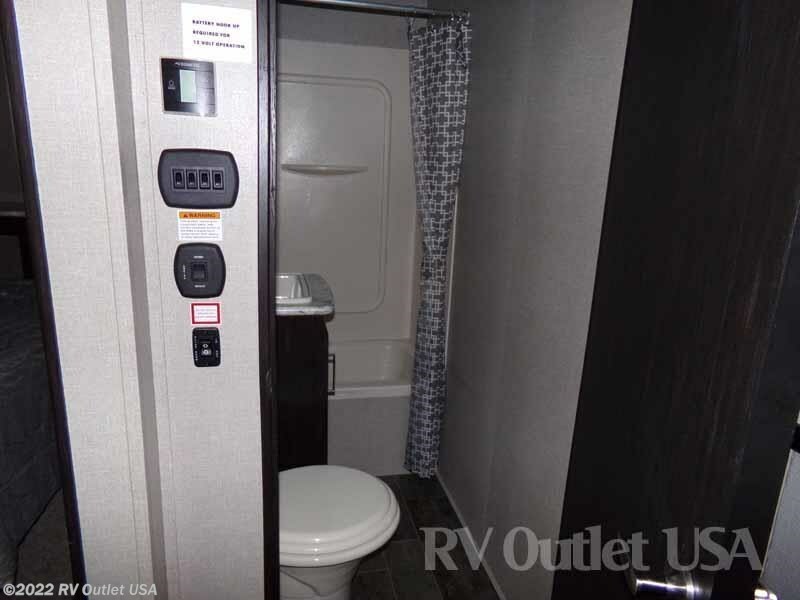 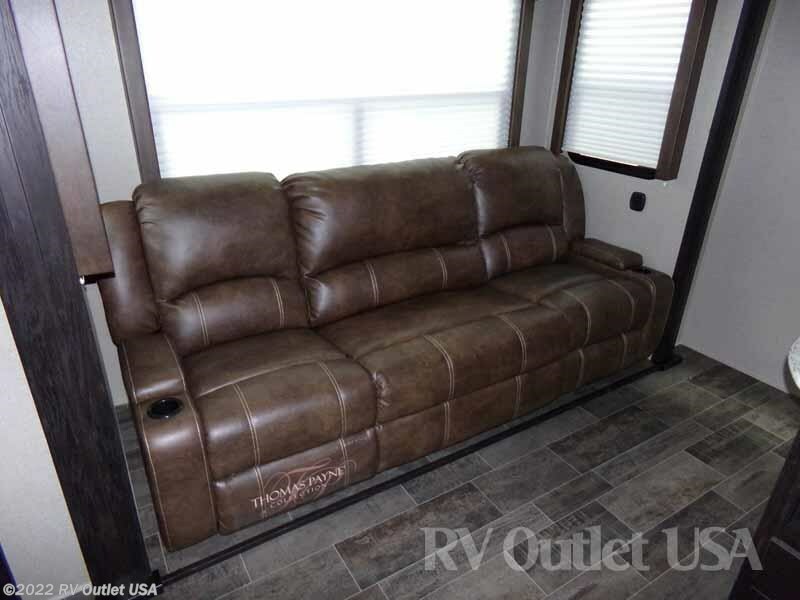 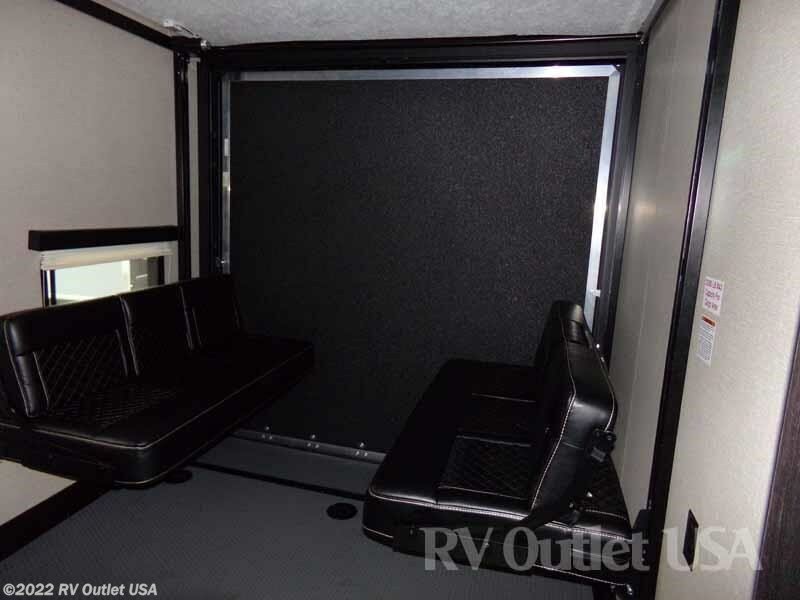 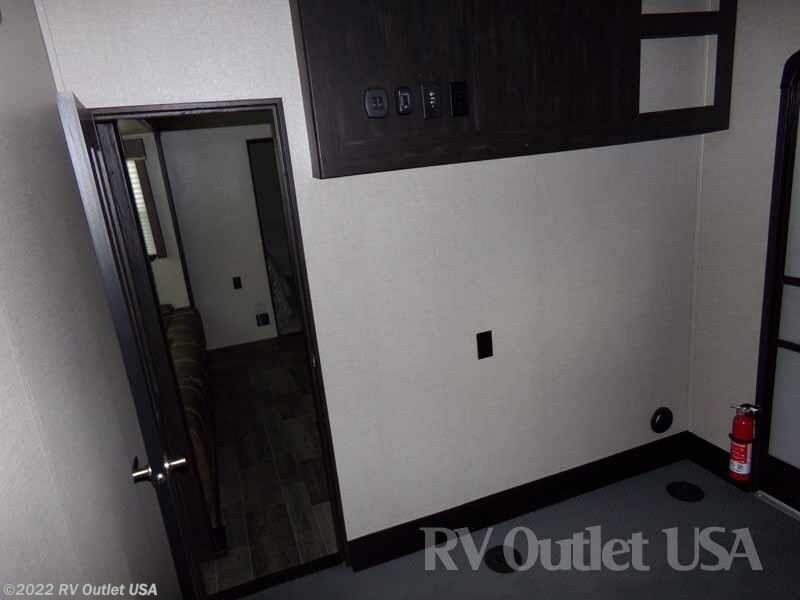 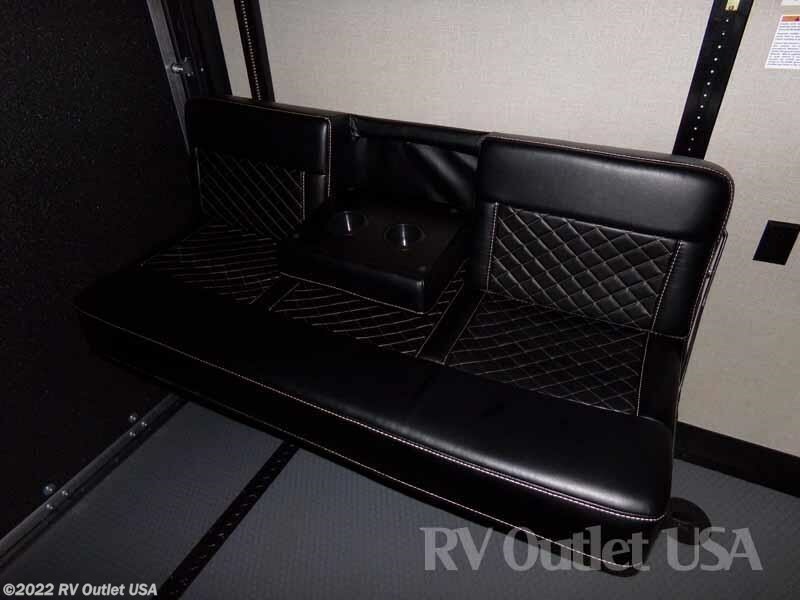 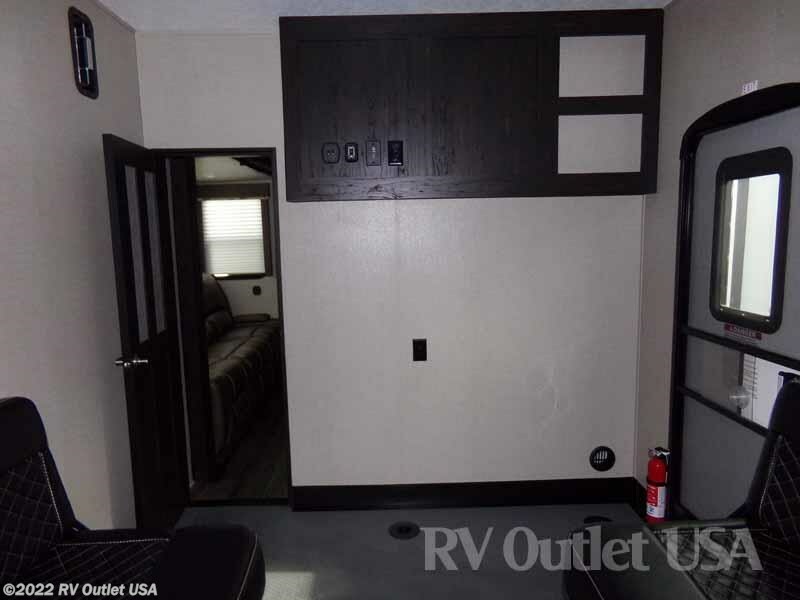 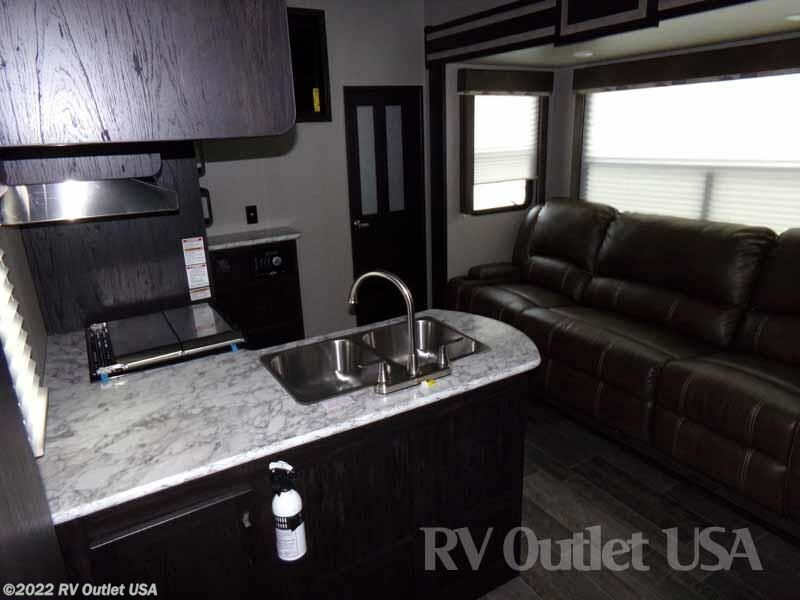 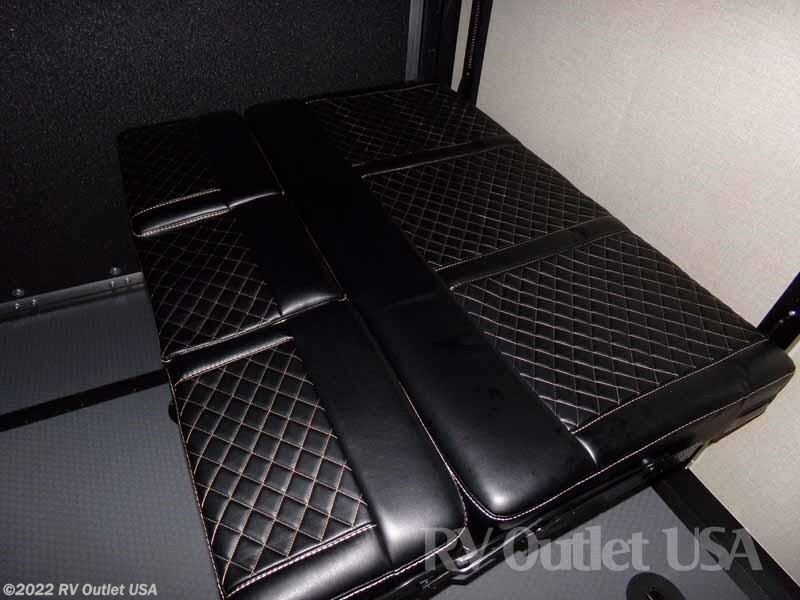 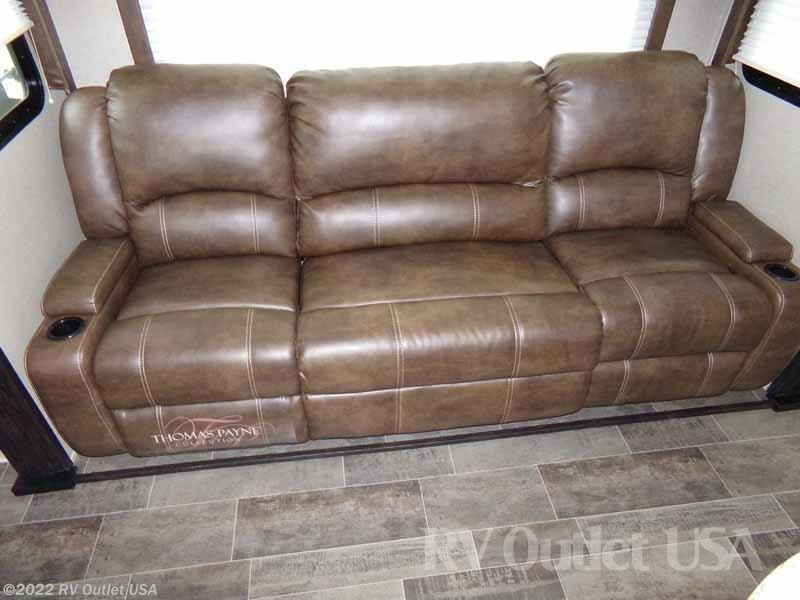 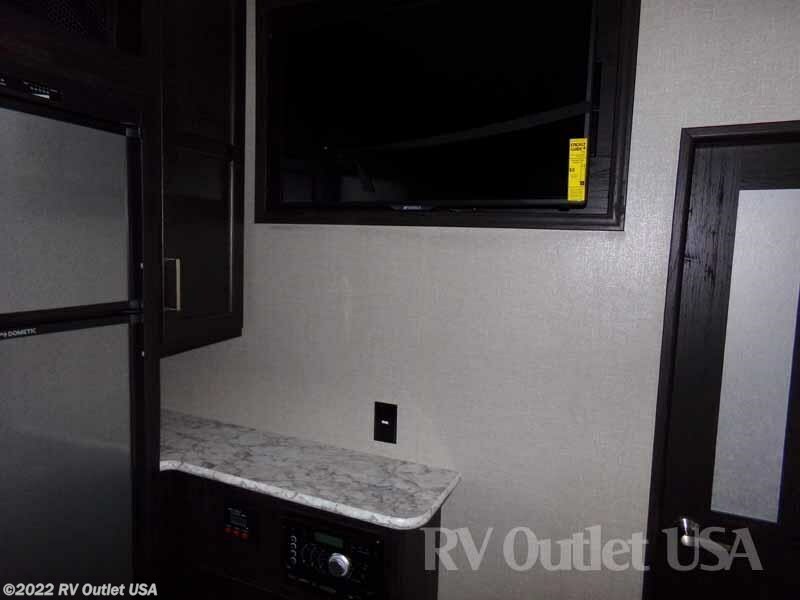 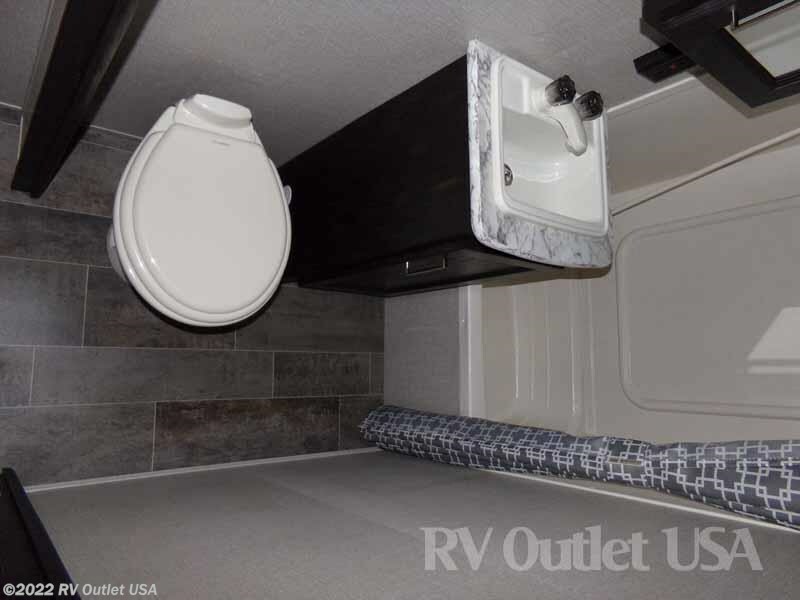 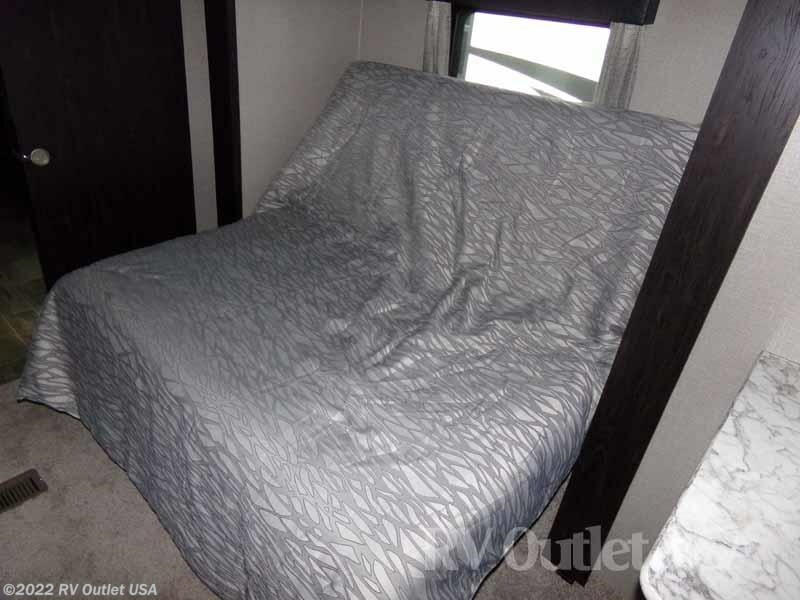 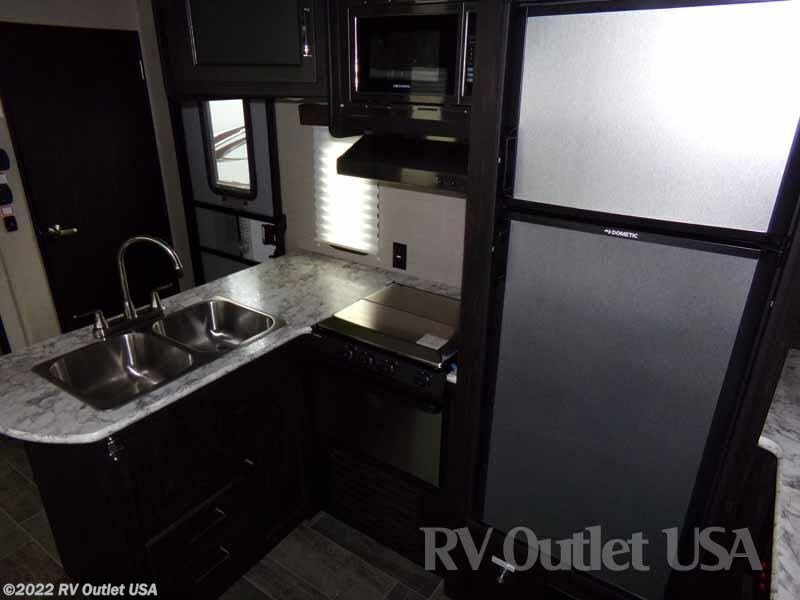 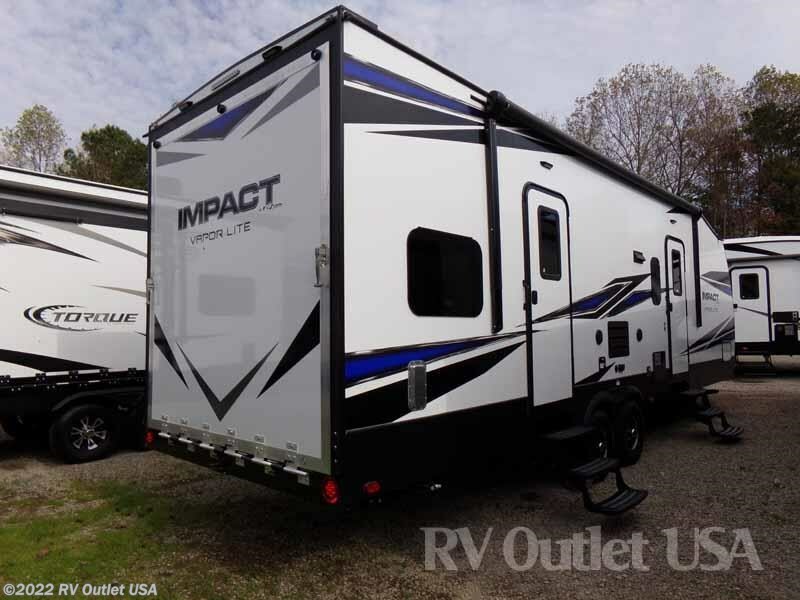 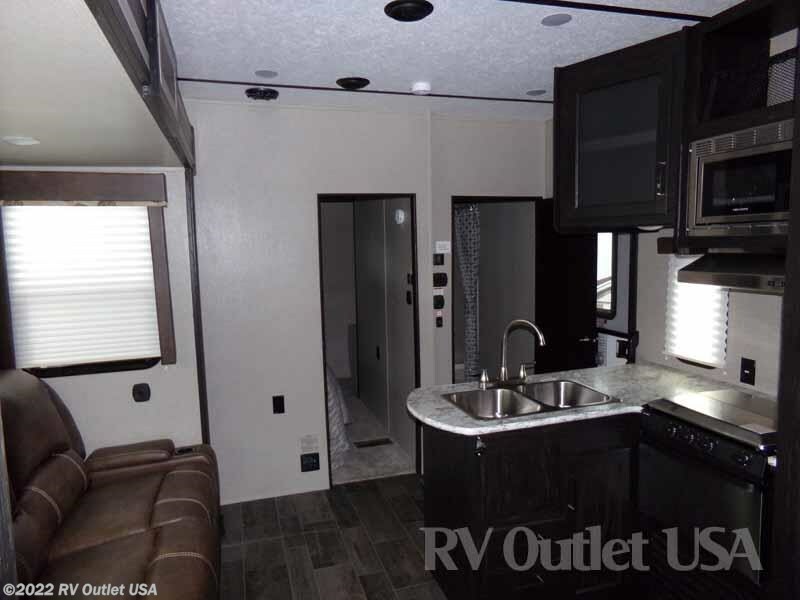 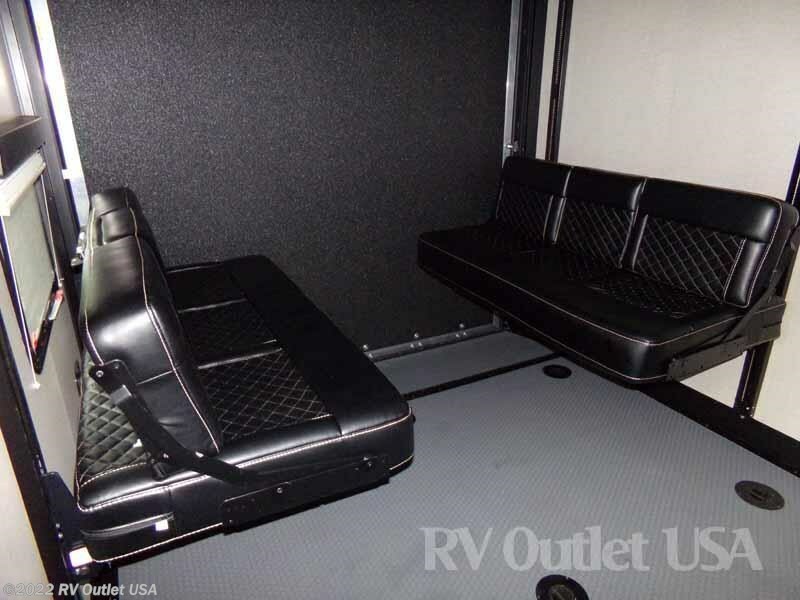 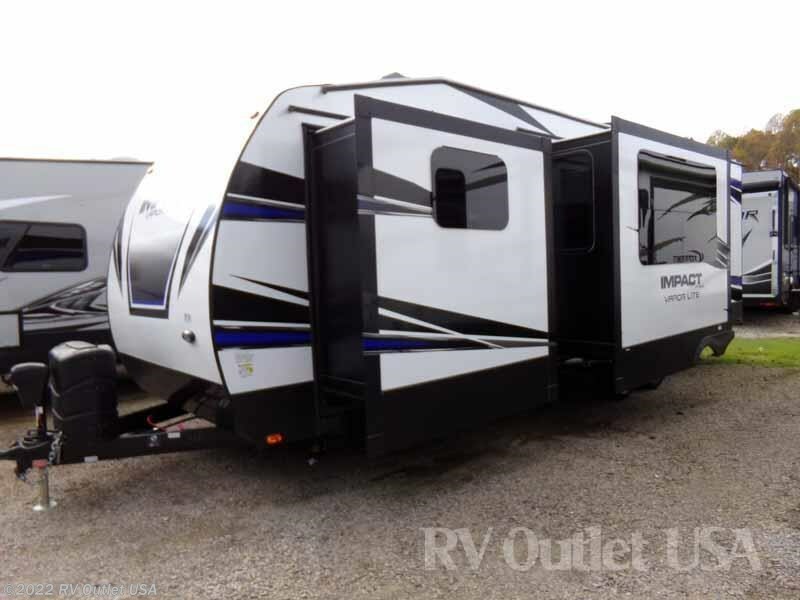 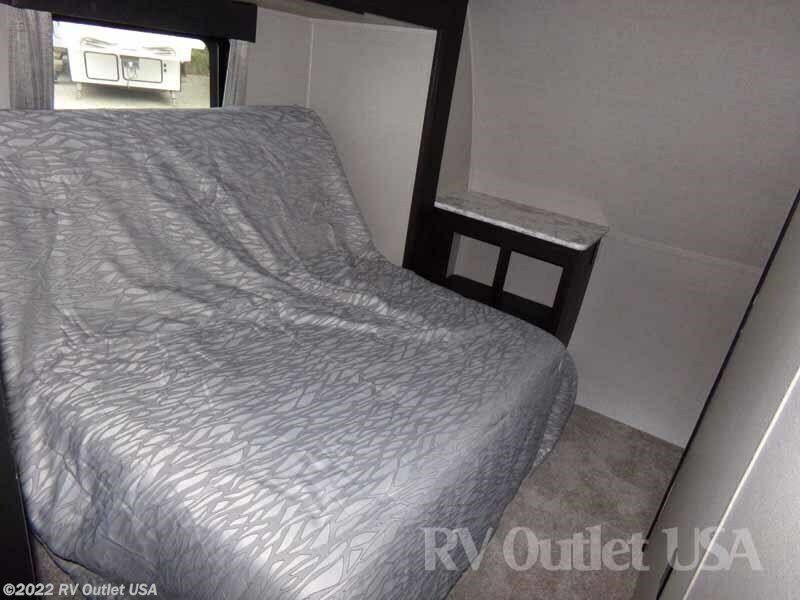 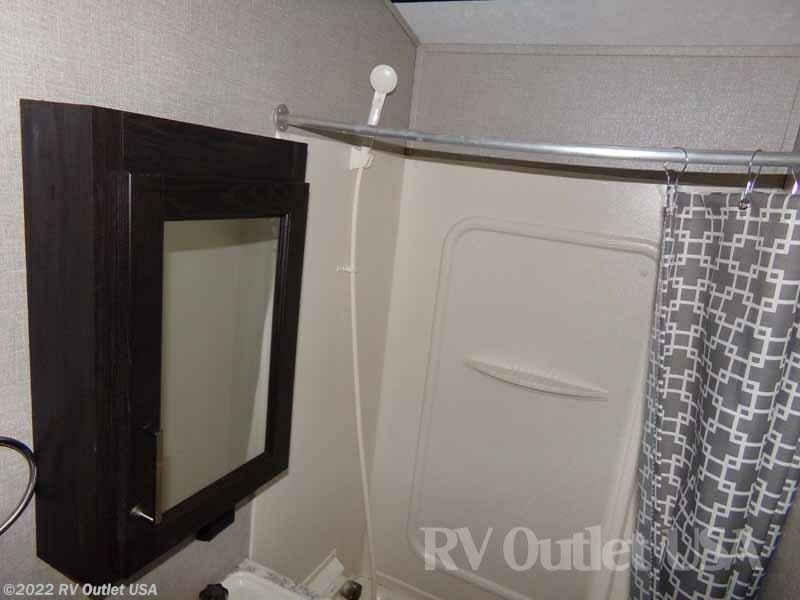 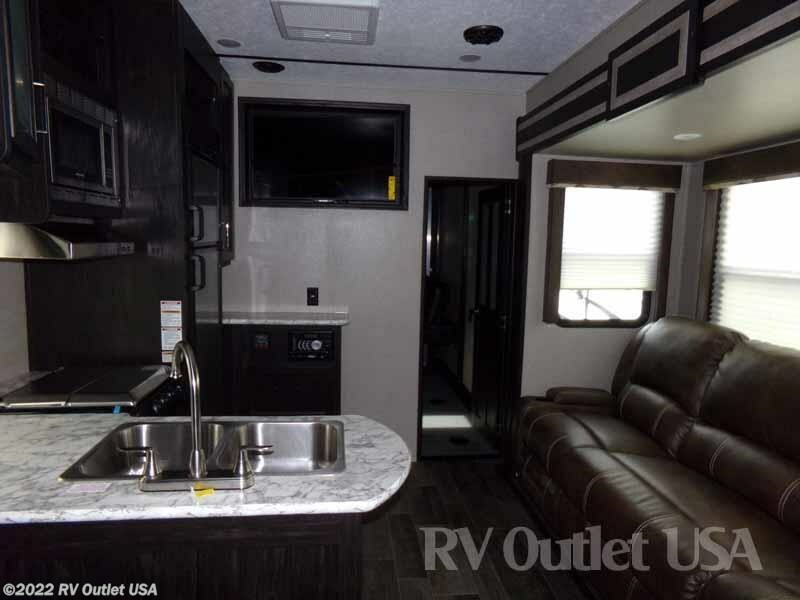 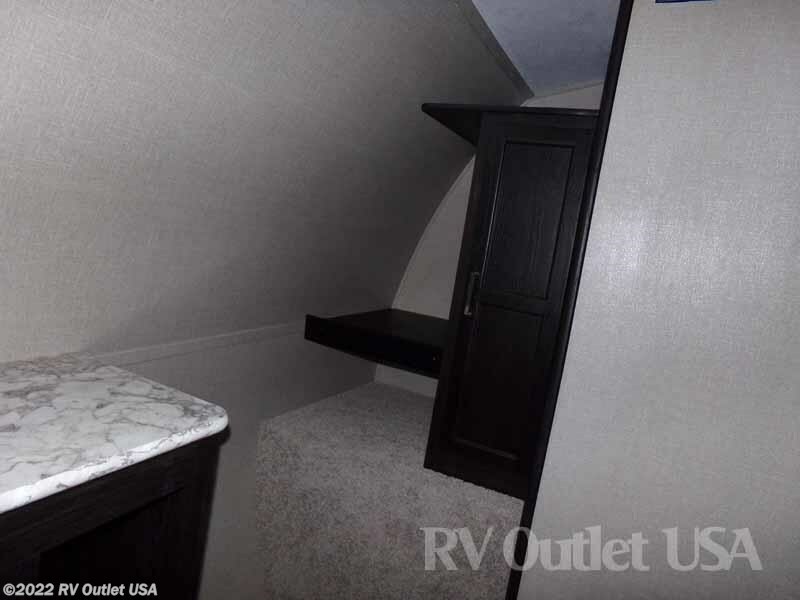 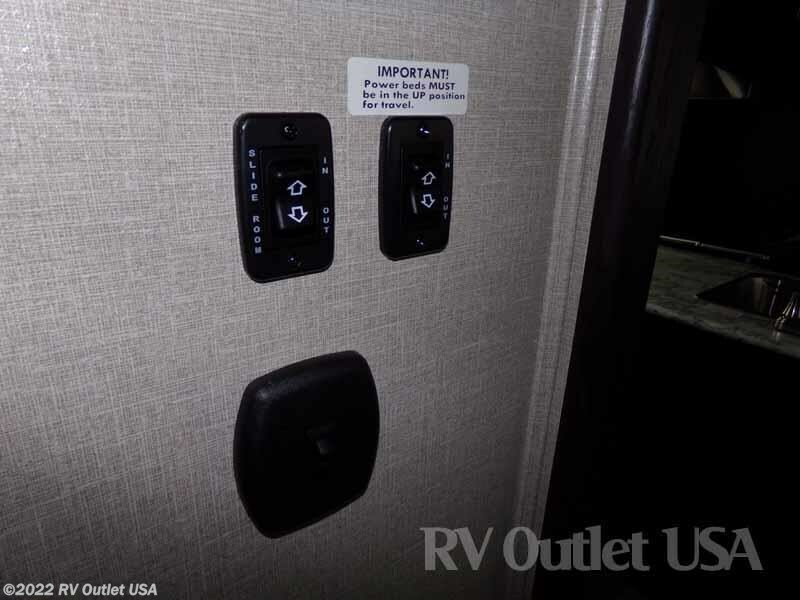 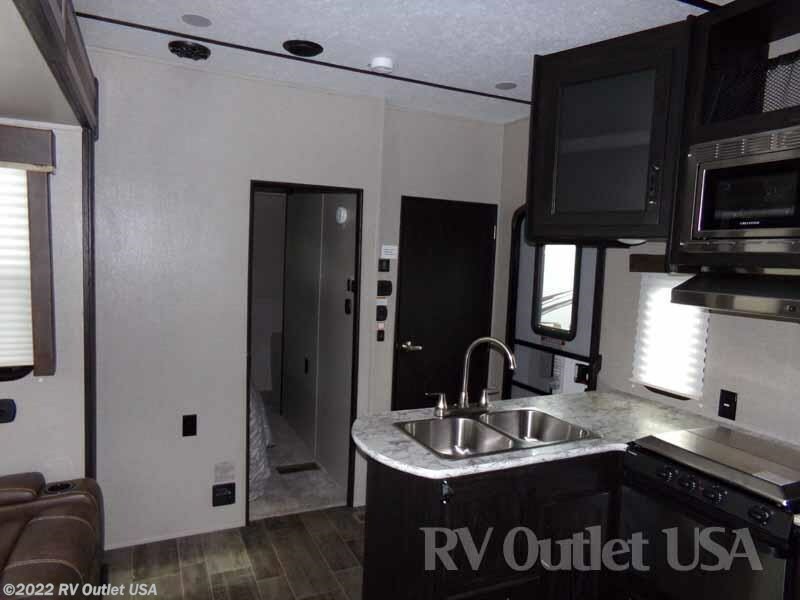 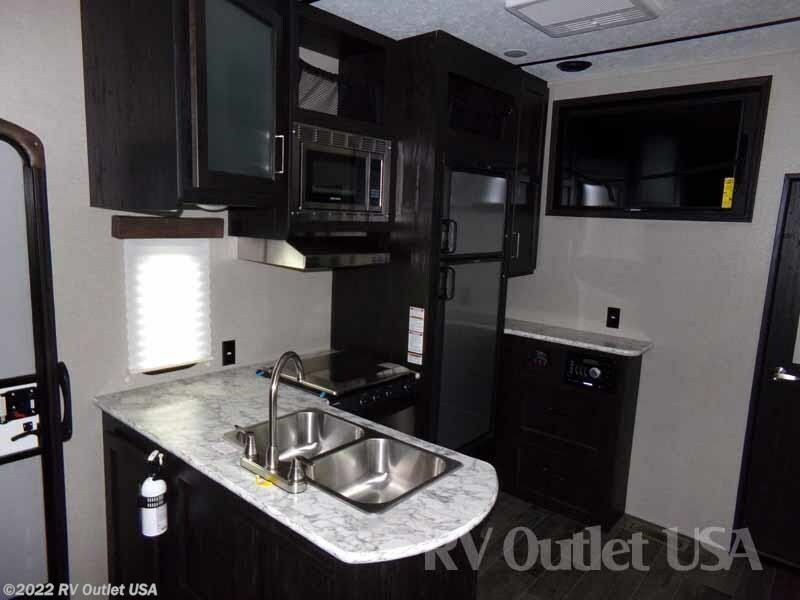 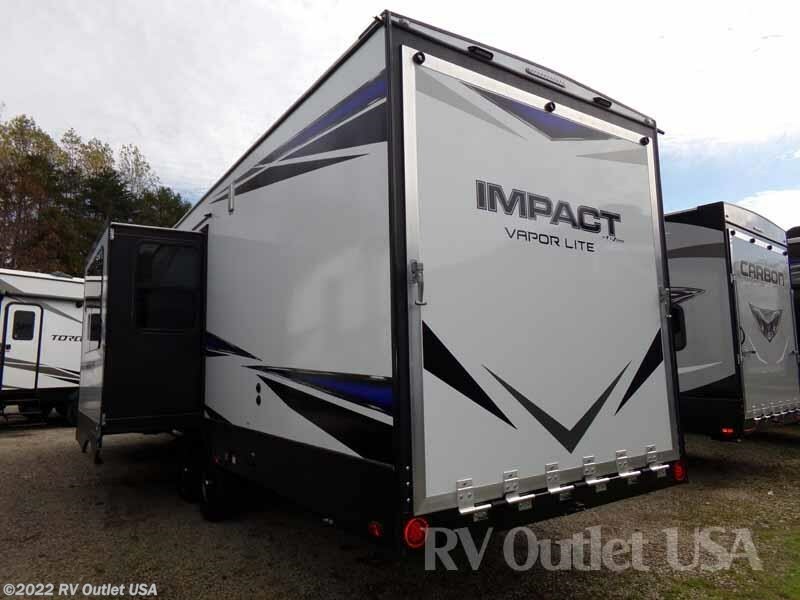 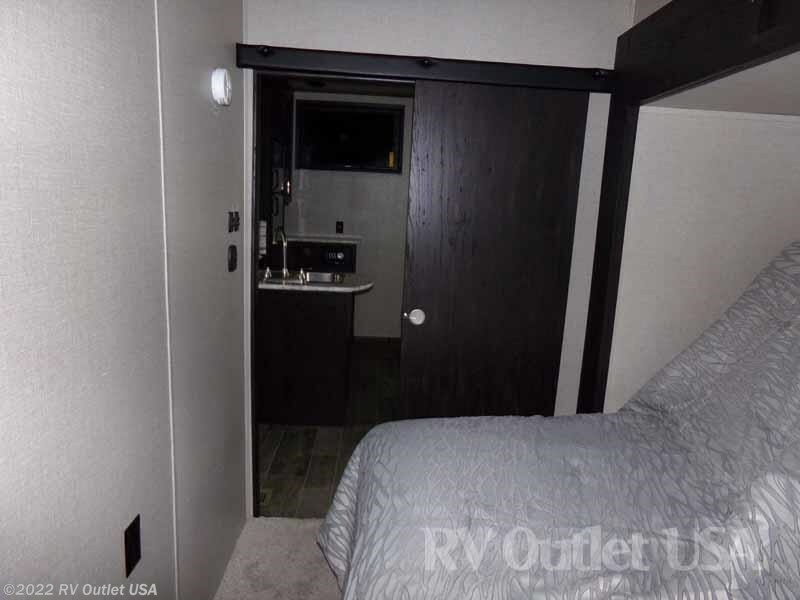 The garage area on this toy hauler is 10' with the 5000 pound tie downs, and it has the dual opposing sofas which make into a bed for extra sleeping room and a queen bed over top. 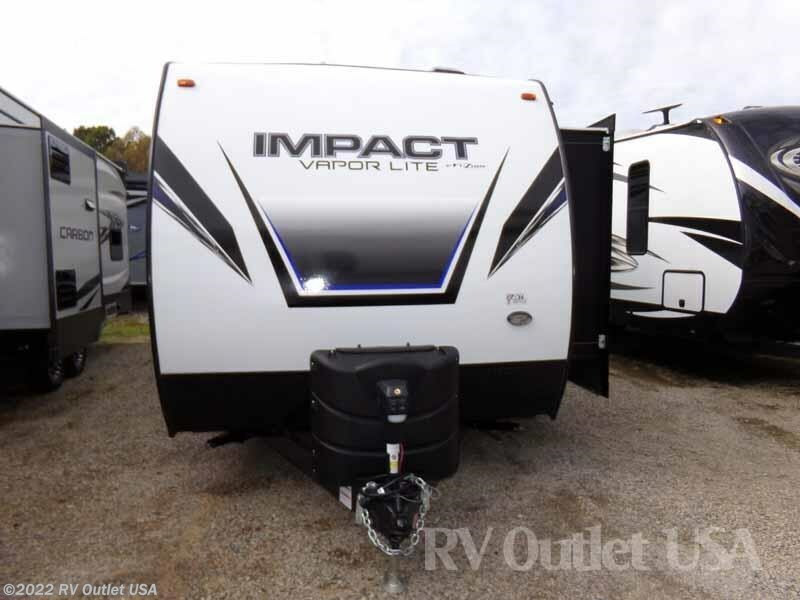 This coach also has the aluminum frame construction with fiberglass exterior, and extra large power awning! 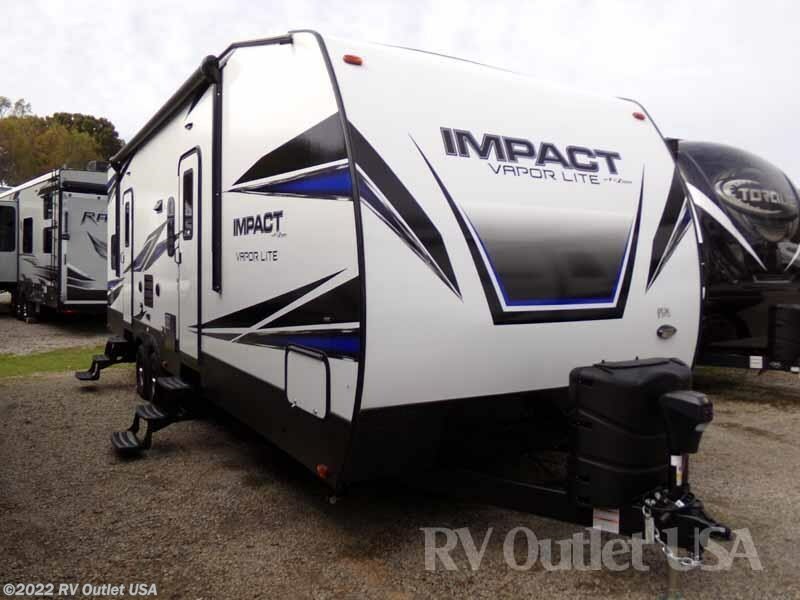 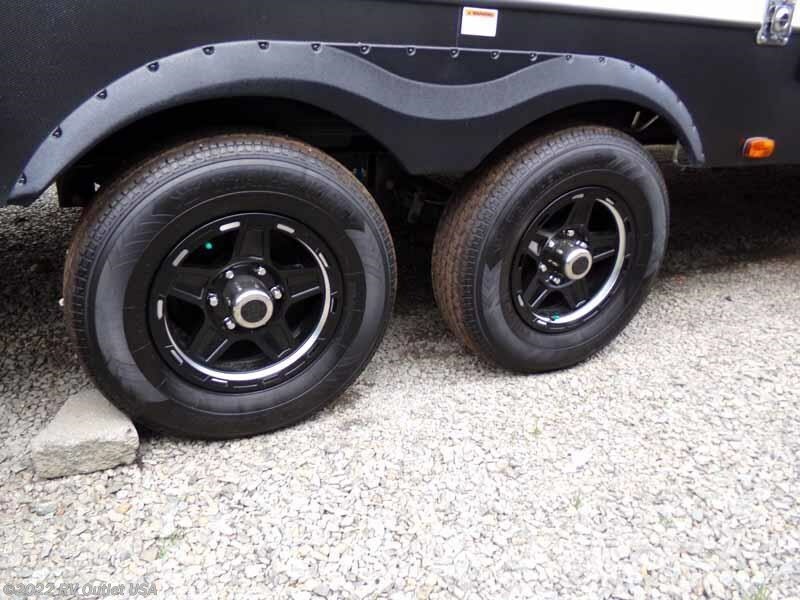 It's a nice toy hauler with a ton of nice features, here's a list. 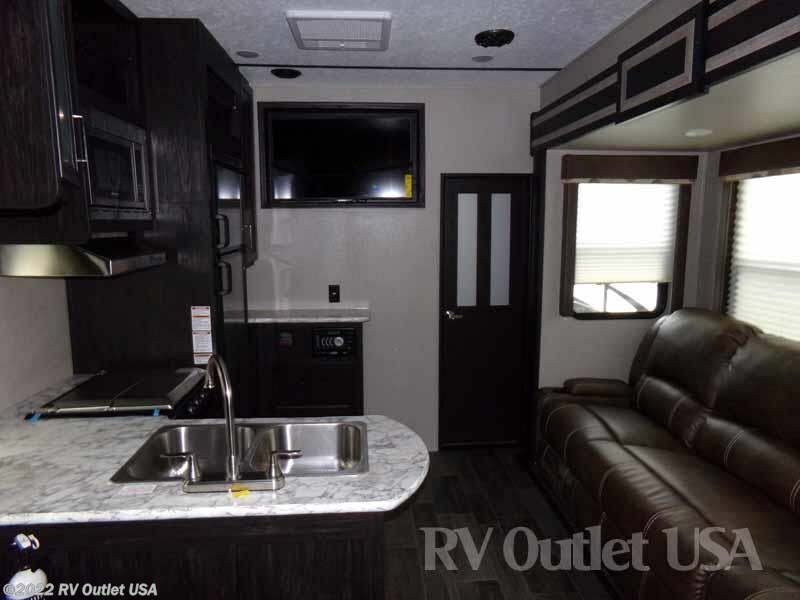 The interior color is Clay, it has the Intense Interior and the Extreme Exterior packages which contain a lot of nice features. 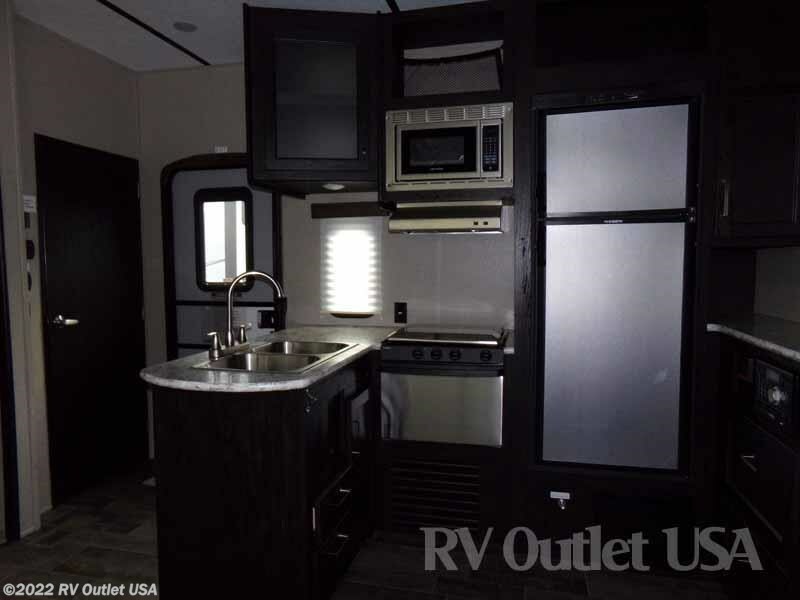 It has the power awning with LED lights, and the upgraded (8) cu ft double door refrigerator.